Nothing is more elegant than crisp black letterpress printing on bright, white cotton paper. 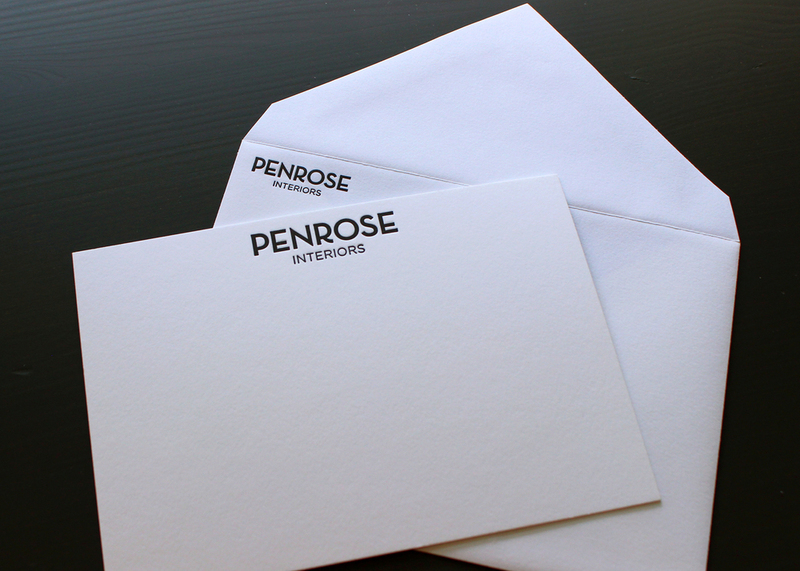 Black ink never goes out of style, so it's always a great choice for business stationery. Here is another simple letterpress note card that we printed recently. We love take on a custom note card for a family of five. The Chinese Zodiak signs add such sweet character to the stationery set, especially when printed in such a striking orange.